London: Almost every country in the world now has serious nutrition problems, either due to over-eating leading to obesity or a lack of food leading to undernutrition, according to a major study published on Saturday. Researchers behind the Global Nutrition Report, which looked at 140 countries, said the problems were "putting the brakes on human development as a whole" and called for a critical change in the response to this global health threat. More than 155 million children aged under five are stunted due to lack of nutrition, and 52 million are defined as "wasted" - meaning they do not weigh enough for their height, the report said. At the other end of the spectrum, over-eating is taking a heavy toll on people of all ages worldwide: the report found that two billion of the world's seven billion people are now overweight or obese. 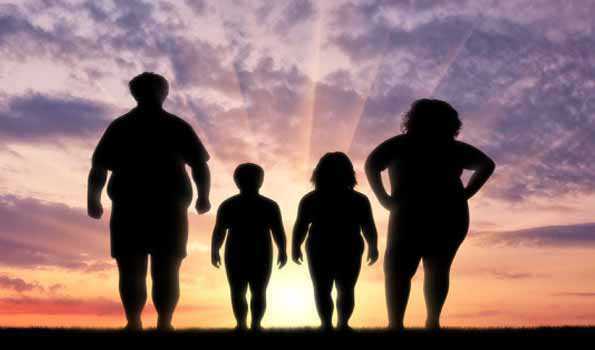 In North America, a third of all men and women are obese.Worldwide, at least 41 million children under five are overweight, and in Africa alone, some 10 million children are now classified as overweight. "Historically, maternal anaemia and child undernutrition have been seen as separate problems to obesity and non-communicable diseases," said Jessica Fanzo, a professor at Johns Hopkins University in the United States who co-led the Global Nutrition Report. "The reality is they are intimately connected and driven by inequalities everywhere in the world. That's why governments ... need to tackle them holistically, not as distinct problems." Donor funding for nutrition rose by just 2 percent to $867 million in 2015, the report found. It said funding needs to be "turbo charged" and called for a tripling of global investment in nutrition to $70 billion over 10 years. The Global Nutrition Report is an independently produced annual analysis of the state of the world's nutrition. It tracks progress on targets for maternal, infant and young child nutrition and on diet-related chronic diseases adopted by World Health Organization member states.